Selecting an image was easy. 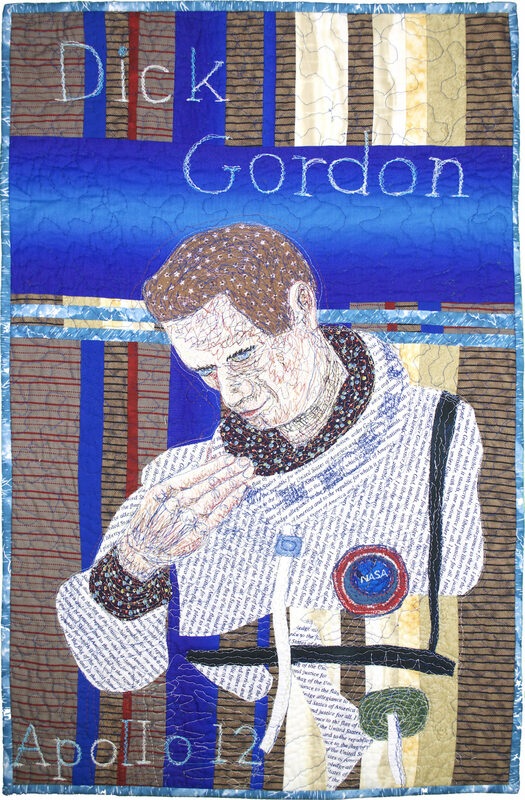 The one I chose is not a formal portrait but one that displays the dedication and intensity of purpose these astronauts brought to their task. Piece both machine and hand, needle turn applique, thread sketching, quilting.